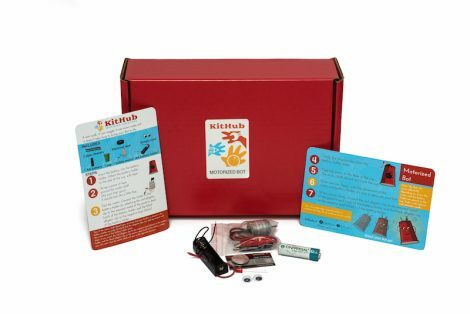 KitHub STEAM Education Kits come with everything you need to facilitate creative, hands-on electronics projects in your K-8 classroom or after school program. 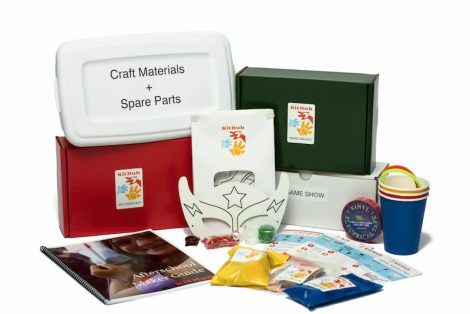 The kits are classroom-ready and the curriculum was developed by a member of the National Science Teacher's Association. Choose from 1-2 hour projects or 10 week programs. 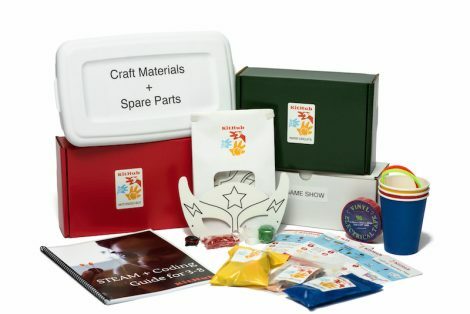 Our single session STEAM Education projects come with easy-to-follow instructions, lesson plans with assessments and individually packed student kits. Very little prep-work ﻿on﻿ the teacher's part is required. Learn more about single session STEAM projects here. A fun and entertaining introduction to simple circuits. 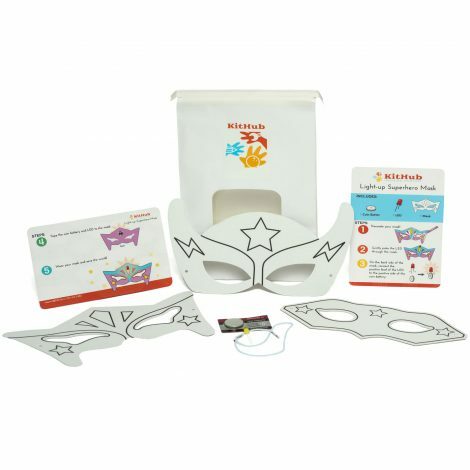 Students will design their own light-up superhero mask using electronics. The mask is ready to decorate and allows for many superhero, mascot or other theme for both boys and girls. Students will practice how to create a circuit using copper tape and then design a unique electronic pop-up card. Paper Circuit crafts and cards are perfect for any time of year and holiday season. Older students will enjoy designing a city of the future with circuits or light-up their notebooks. A unique and hands-on introduction to robotics. Students will learn how to turn on a hobby motor, light-up an LED, create a simple circuit and use their imaginations to decorate their new artbot. Add a few markers, stick the bot on a piece of paper and it will draw spirals. Connect a MakeyMakey to your bot and program a virtual bot it in Scratch. 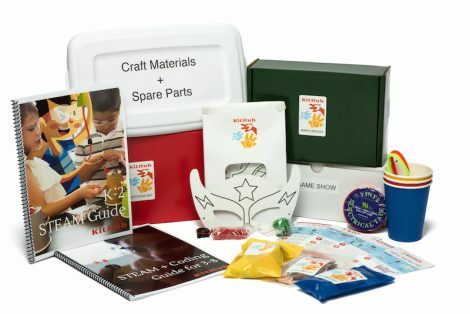 Our multi-session STEAM Education Programs include easy-to-follow instructions, lesson plans with assessments, individually packed student kits and craft materials. Very little prep-work ﻿on﻿ the teacher's part is required. The materials included will take you from start to finish! STEAM Program for K-2 is a once a week program for Kindergarten through 2nd grade that aligns with NGSS and CCSS. For 10 weeks, students will engage in their own take-home projects that introduce them to STEAM through creative materials. Provide repeated exposure to project-based learning that combines art with science and technology. Increase interest in STEM subjects that continues into middle school. The Afterschool Maker Program is for Kindergarten through 5th grade. For 10 weeks, 12 students will engage in their own take-home projects that introduce them to STEAM through creative materials. Projects allow students to have fun and be creative while building their hands-on making skills. The program will engage young students to think of themselves as creators and inventors. The STEAM + Coding Program is designed for students in grades 3-8. With this program you can engage students in six-creative electronics and coding activities. They will design and develop hands-on projects and complete challenges that encourage team building. This program will engage students to further explore the fields of computer science and engineering. 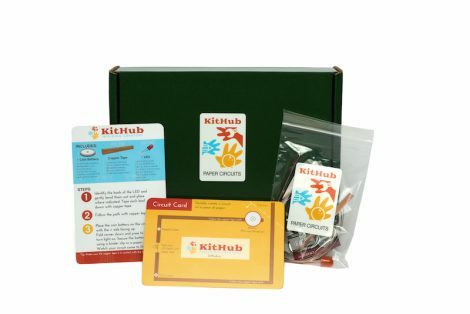 If you have questions about our STEAM Education Kits or require a special order, please email us: support@kithub.cc and we will do our best to help you out.